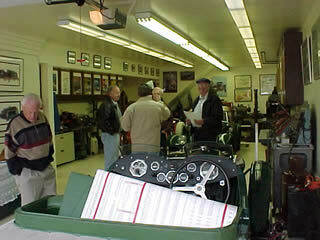 The Martine Inn Motorsports Restoration Shop is available for car club tours in conjunction with an luncheon or dinner at the Martine Inn. 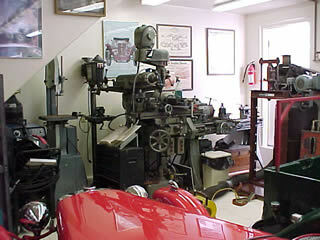 This is a working MG restoration shop that does all our mechanical repair and restoration. We normally have two or three restoration projects going all the time, along with the normal maintenance and rebuilding of race cars. We build race engines and stock engines for the street. We grind our own engine valves and seats and port and polish heads. We have a flow machine to measure the effectiveness of our special heads. We have shops we work with to bore the blocks and balance the moving parts. All assembly is done in house. We rebuild the braking systems completely. 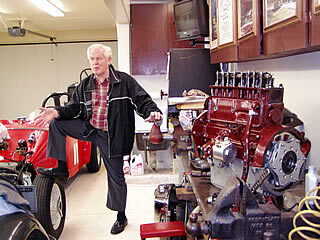 We rebuild transmissions and differentials and have the specialized equipment to do so. 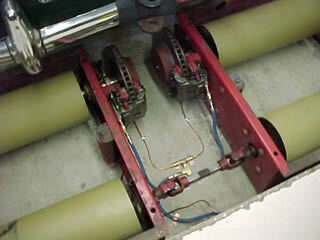 We rewire and repair the electrical systems and have shops to restore instruments. We do welding and repair of body panels and even creation of new or replacement body parts. We paint and finish some of the vehicles and parts and have a shop the frequently paints body panels. Except for the newer MG's there is never a total car to paint as they need to be taken apart, repaired, prepared and painted and then reassembled. We have lots of used parts we have collected over the years and an extensive stock of new parts also. We specialize mainly in MG's because we have the tools, parts, equipment, knowledge and expertise to do them well. For further information please contact Don Martine using the information below.